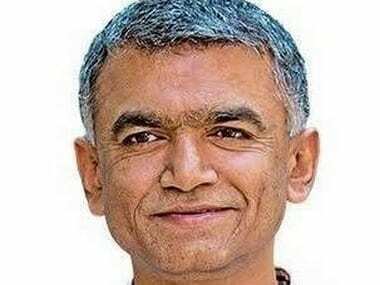 Bangalore: Ahead of the Karnataka elections, state agriculture minister and Byatarayanapura MLA Krishna Byre Gowda says Congress' scandal-free and stable governance will retain voters' trust, especially when they compare it against the previous government's tenure. Gowda said the state, and himself as agriculture minister, faced a tough time as they were hit by a terrible drought, but added they've done enough to support farmers in their hour of need, and that was why protests called by farmers in Maharashtra and other states were not observed in Karnataka. What are your government's notable successes and failures? Gowda: We have given a stable and scandal-free government for five years. Both are relevant when you compare us to the previous government, which was riddled with factional feuds and where many ministers went to jail, including the chief minister. Moreover, Karnataka’s growth rate is 8.5 percent compared to the national average of 6.6 percent. In terms of investment and job creation, Karnataka is number one in the country. We have delivered growth and development-oriented governance for five years. But we were hit with a terrible drought for two to two-and-a-half years. That took a toll on people, on farmers. We did a good job of managing the drought but people suffered nevertheless. What is your take on the Lingayat factor? 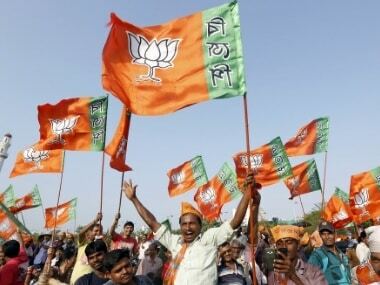 What role will caste play in the upcoming polls? Gowda: You cannot deny that caste has a role. But on the issue of Lingayats, the community demanded minority status. Our government only responded to that aspiration and a demand from within the community. Unfortunately, it’s been projected by our opponents as if we created it. When there is a popular demand, the government has to respond. Do you think JD(S) will play spoilsport? Gowda: JD(S) may get some votes in some pockets but many of their tallest leaders have deserted the party. Public confidence in the JD(S) is somewhat deflated. Also, in the past when there was a hung Assembly, it was a bad experience for Karnataka. I think people remember that well and they don’t want a repeat. The public wants a stable government, which means a single-party government. This time, I think they will opt for a clear majority and our government has done everything to deserve that. In Karnataka, 3,515 farmers committed suicide between April 2013 and November 2017. Of these, 2,525 died due to drought and farm failure. Why is the ministry not able to control this? Gowda: It has been controlled. If you see the recent numbers, they have come down. The suicides went up due to terrible drought: That was the low point of our government, when the drought hit badly. That’s why we undertook loan waiver and many other relief measures. So, now the suicide rate has come down. We managed to bring it down considerably. Farmer are committing suicide across the country, regardless of the party in power. 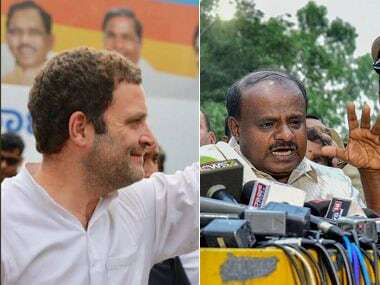 Has Karnataka fared any better? Gowda: That is the reason we did the loan waiver. We are responding to farm distress and wherever possible, are intervening. 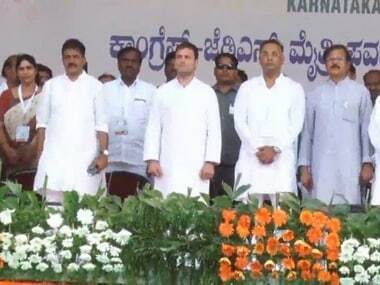 You might notice that when there were large-scale farmer protests in Maharashtra, Madhya Pradesh, Chhattisgarh and Tamil Nadu, Karnataka didn't see any sort of farmer protest movement. Though farmers have suffered due to drought and other reasons, they have confidence that their government is on the job and doing everything it can. It is a symbol of the responsiveness of the government. Sugarcane growers topped the list of suicides followed by paddy and cotton cultivators. Why is the government unable to convince farmers to grow alternative crops and ensure a market for it? Gowda: In a democracy, I don’t think you can force farmers what to grow and what not to grow. The farmers have a choice. If they want to grow sugarcane, I don’t think I can go as a government officer or minister and stop them. We have been advocating and giving enough alternatives, but the final choice rests with farmers. What are the steps you will take to promote less water-intensive crop cultivation? Gowda: Our millet promotion campaign is to encourage water-efficient crops. Also, we have incentivised water-efficient crop cultivation practices for many crops, including paddy. We give farmers cash incentives to adopt methods of low-water cultivation. We have invested heavily in micro-irrigation. But a lot needs to be done. Gowda: We are not bent on giving farm loan waivers. In a time of distress, when farmers were in a very unenviable position, it is not just some policy. Farmers also need to be convinced that the government is with them and loan waivers give immediate relief to the distressed. So, to that extent it does help. But that isn't the only solution. What impact will all these have on rural voters? Gowda: Generally, what I have observed is that rural voters are quite happy with the Congress. We have put a lot of money into irrigation, rural roads and many schemes (Anna Bhagya, Krishi Bhagya). I think there is a positive response. You once said that the Centre wasn’t acting quickly in releasing drought relief funds. Is that an election issue? Gowda: We have several grievances with the Centre. They haven't released money owed to our state. In fact, they are trying — through the 15th Finance Commission — to limit the allocation to Karnataka and other progressive states. We are fighting injustice being done to states like Karnataka through the 15th Finance Commission and yes, it is an election issue. Gowda: We are a democratically elected government. I find these allegations very strange and elitist. What doesn’t suit you gets branded as populist. Centre has spent more money on publicising schemes such as Ujjwala and free gas connections than perhaps on the schemes themselves. So, how is that they are not populist and some state government schemes are populist? The point is: Some people are benefitting from growth and some are not. So, we need to make growth inclusive. Disparity between people in our society is growing rapidly. That's not in the interest of a market economy. If large numbers of people are left out, they can turn around and bring the system down. Will crumbling infrastructure affect Congress’ prospects? Gowda: I have heard of this crumbling infrastructure forever. But the city continues to thrive, which means something is working. 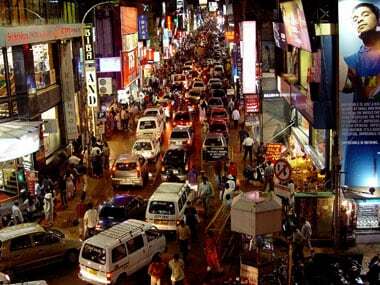 One crore 20 lakh people live in Bengaluru. I acknowledge there are traffic problems, among other things. But it is a functioning city, it is the most dynamic city in the world. Every day, the city is attracting migrants. Why? It is a talent magnet. The city wouldn’t be attracting talent if it’s crumbling. That's not to say there are no challenges. But our government is working on metro in all directions, we have developed project Tender SURE (Specifications for Urban Roads Execution) which is working well. We may be slow, but we’re better in meeting these challenges than our opponents.